Xilisoft MP4 Converter is powerful, easy to use MP4 video conversion tool which helps you convert all popular video formats to MP4 (MPEG4). 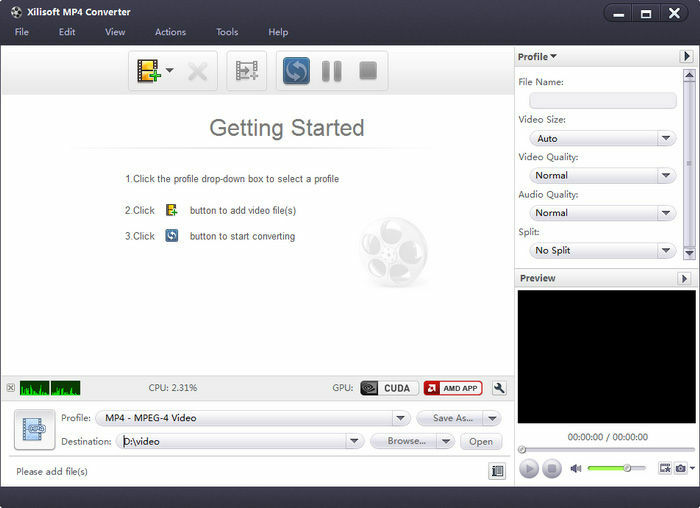 MP4 converter has a comprehensive support for video formats including AVI, MPEG, DivX, MOV, RM, WMV, 3GP, VOB, VCD and DV. It also supports various number of different portable videoplayers, such as Acrchos Archos AV500, Archos AV700, Archos Gmini402, iriver PMP-100, Creative Zen Vision, etc. In addition, the MP4 video converter provides a way to convert different audio formats to MP3, AAC, M4A.